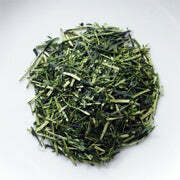 Very good quality green tea leaves are removed from their stems, which then become Kukicha. The liquid from the first brew is a pleasant light green color. It has a wholesome flavor with no astringency or bitter aftertaste, and is naturally sweet. The second brew is a little bit sweeter. 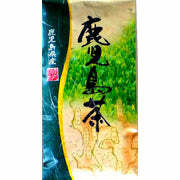 Kukicha is a very fine all around tasting green tea preferred by many because it is so highly drinkable. 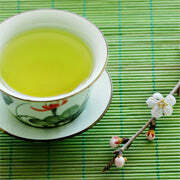 Its caffeine content is lower than regular green tea leaves because they have been removed.